There was a pack of rump in the freezer, so perfect for a stir fry. I sliced the meat thinly and marinated all day in the fridge. I always cook the meat first, and put it in another bowl, then cook the veges and then combine it, that way nothing gets over cooked. You could serve this with rice or noodles, but I prefer to just cook extra veges. We had annual leave the week before Easter, and used the time to move into our secondhand house. 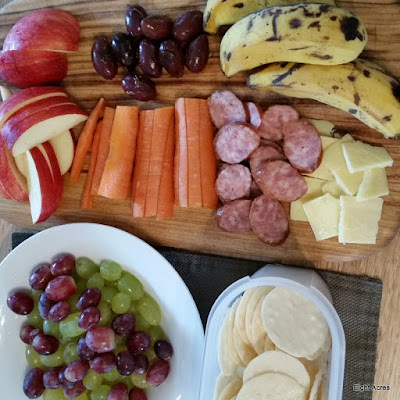 When we are home on the weekend or on holiday we usually eat a range of veges, fruit, cheese and cold meat at lunchtime. We are on a mission to use up the beef from our last homekill (over a year ago), there are just a few roasts left and this was one of them. 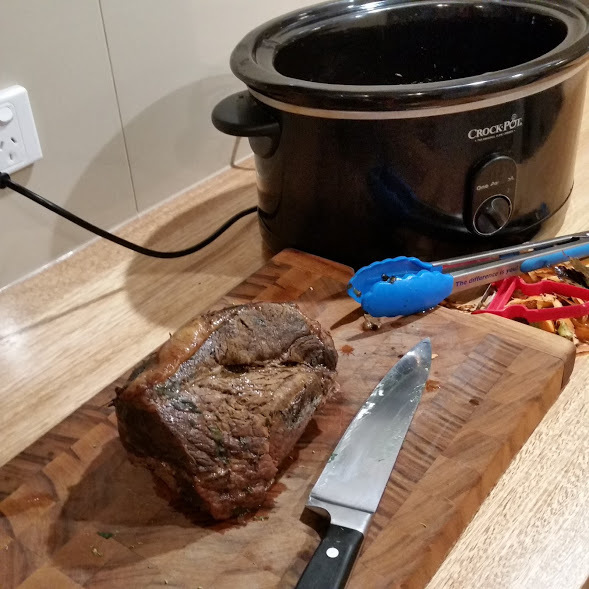 I cooked it in the slowcooker with beef stock, onion and carrot, a little wine, bay leaves and rosemary. As usually, we ate it with lots of veges. Similar to the rolled roast from February. 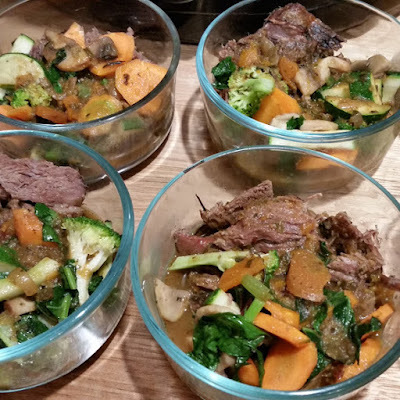 Another slowcooker favourite, I found a packet of two lamb shanks in the freezer and added a packet of lamb chops to make sure there was enough for the week. Cooked with carrot, onion, white wine, a can of tomatoes, bay leaves and rosemary (and the leftover gravy from the roast the week before). 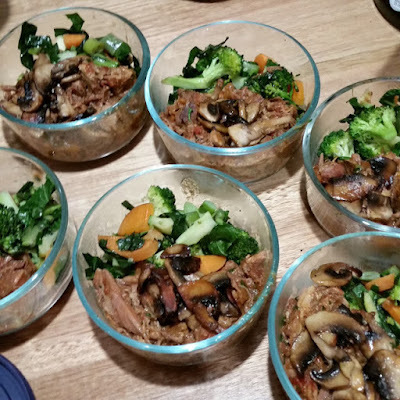 I wrote out the full recipe for lamb shanks casserole in February. 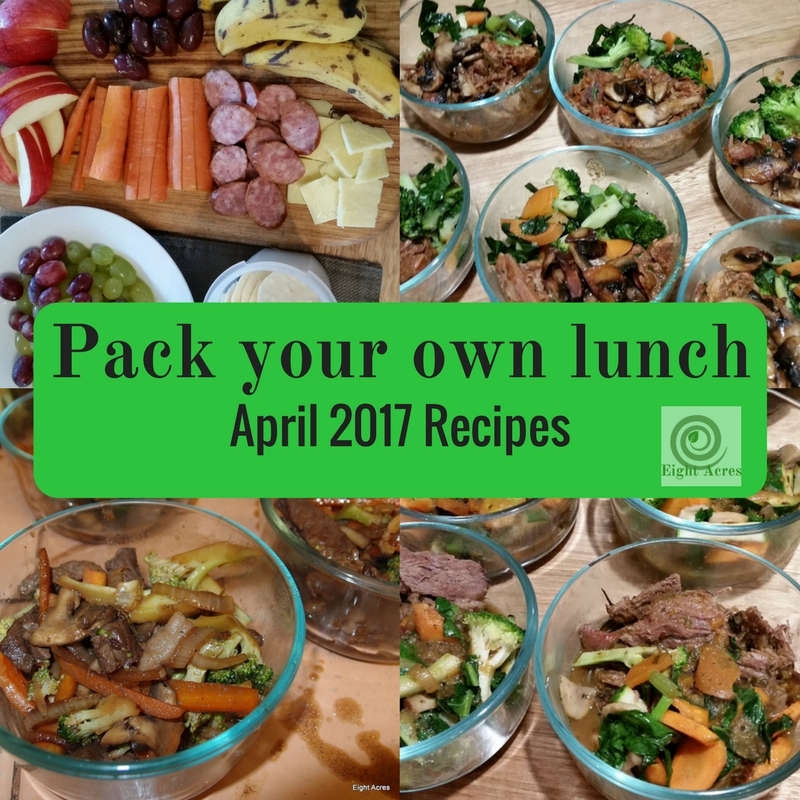 What are your favourites for bulk cooking? Do you take your own lunches to work? I hope you find these posts useful. Its been interesting to see what we repeat and what is new each month.